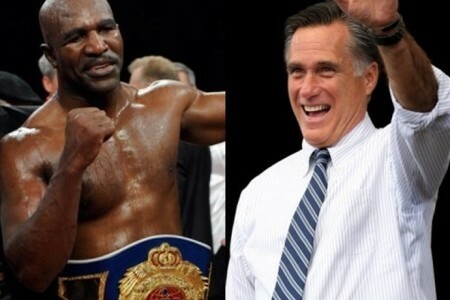 Evander Holyfield decided to get in the ring against Mitt Romney, for charity. I don’t care how much charity this is for, there is NO WAY, I’m even playing that Mitt Romney “knocked me down,” it’s just not happening. Former heavyweight champion of the world, Craig, OF THE WORLD. This is what happens when you don’t spend your money wisely.